Jon is a screenwriter and script consultant with over fifteen years’ experience working in the U.K. and U.S. film industries. His feature film The Zigzag Kid (Dir: Vincent Bal) — an adaptation of the novel by David Grossman, starring Isabella Rossellini — premiered at Toronto in 2012 before going on to win multiple awards, including the Young Audience Prize at the 2013 European Film Academy and the Golden Elephant for Best Screenplay at the 18th Indian Children’s Film Festival. Jon has worked with several major U.S. directors including Joel Schumacher and Jaume Collet-Serra and currently has projects in development with various U.K. production companies, including Big Talk. 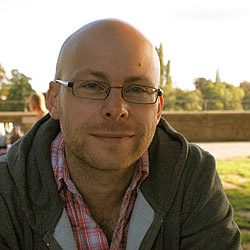 As a consultant, Jon has read projects for Universal Pictures, the Works, and the BFI, among many others, and works extensively with new writers to help develop their projects. He teaches at the London Film School, Met Film School, and City University.